George Craig and Diana Vickers were pictured at the #CantHelpMySelfie launch held in French Connection's Regent Street store in London on 15 April 2014. George Craig wore a Burberry Brit quilted panel biker jacket, over a white t-shirt, black denims and matching sneakers. Love George Craig's Burberry leather jacket which fitted him beautifully. Somehow wished that he wore the sneakers that Diana Vickers wore, which also came in a men's model. 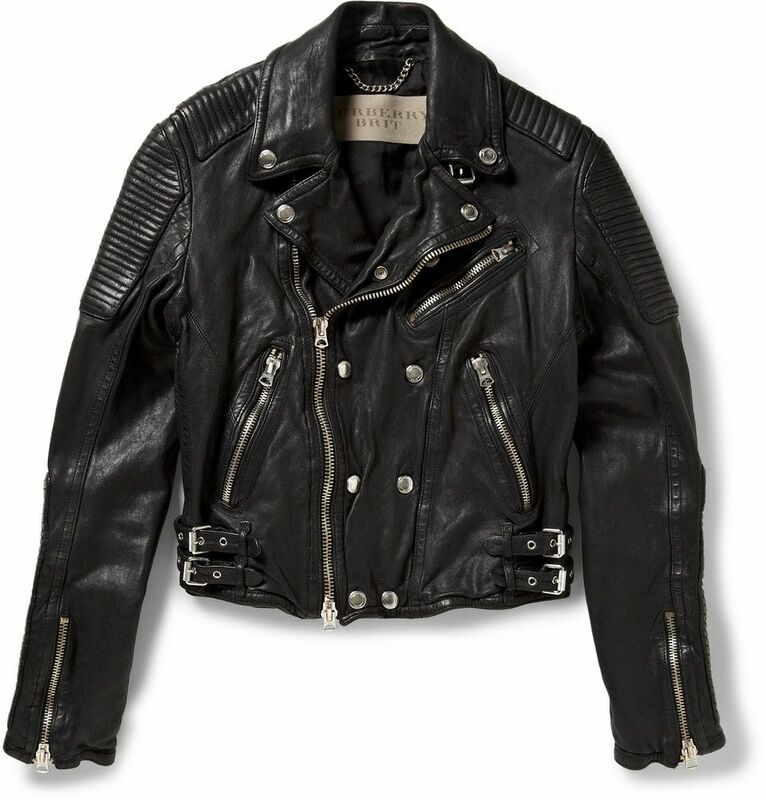 You can shop the Burberry leather jacket online from Burberry and Mr Porter, and the Giuseppe Zanotti Homme sneakers online from Farfetch.